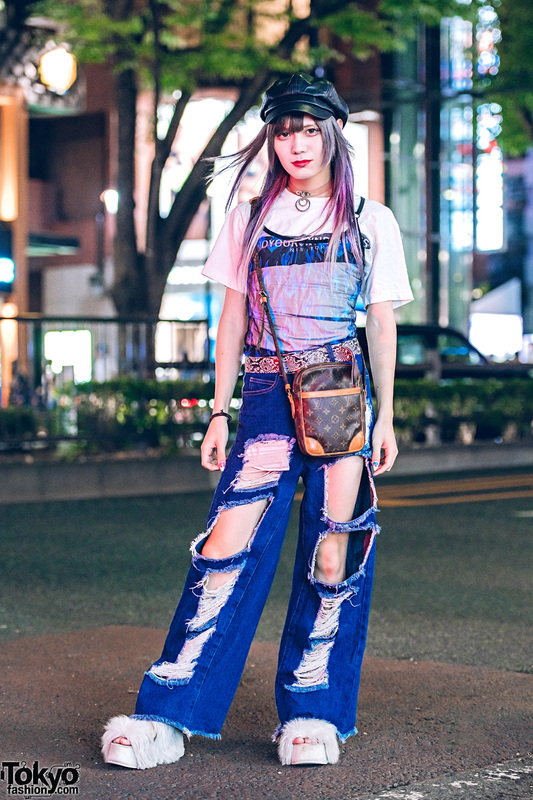 Japanese student wearing a sheer camisole, ripped jeans, and faux fur shoes in Harajuku. Japanese rock guitarist wearing all black with platform boots and pink hair in Harajuku. Harajuku duo sporting colorful yellow and teal streetwear styles while out and about on the street. Tokyo girls sporting trendy fashion styles on the street in Harajuku. Harajuku girl wearing a neoprene mini dress over a lace top, a Moschino bag, and Vivienne Westwood accessories.